A paper circuit is an electronic circuit built on paper instead of a breadboard or PCB. It's a great introduction to electronics because you apply basic components such as LEDs to art projects you are already familiar with including greeting cards, notebooks, origami and more. The High-Low Tech group at the MIT Media Lab has instructions on how to quickly create circuits on paper using copper tape, clear tape, and some simple electronics. Once you have figured out the electronics, here is a great site that will show you how to make origami flowers. The Circuit Board has a nice v﻿﻿ide﻿﻿o tutorial that takes you through how to make an origami LED Lantern. If you aren't into origami, why not add some circuits to your favorite notebook. N﻿﻿e﻿﻿xmap and Educator Innovator tried a few different methods. You can also do something really simple with copper tape, an LED and a coin battery. 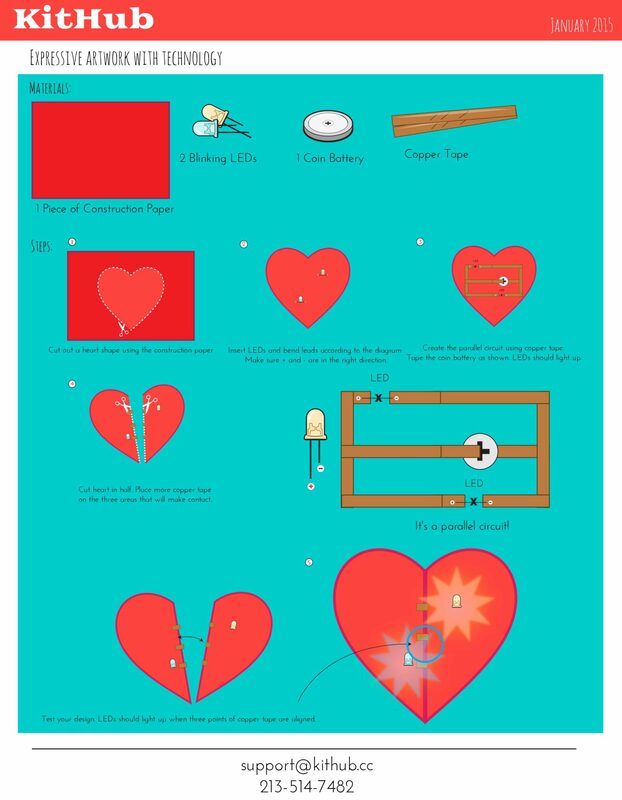 Here are some resources we put together so you can make your own paper circuits for Valentine's Day. 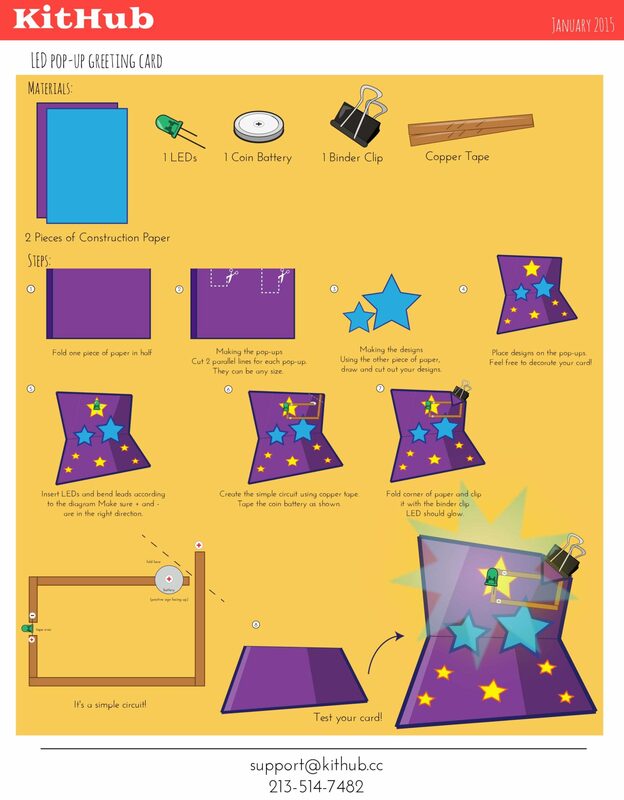 We love the Exploratorium and all of their wonderful tutorials including this fantastic paper circuit activity guide that you can download here. Here's a great post from MAKE that explains how to create a drawing that lights up, otherwise known as paper circuits. Learn about basic circuits, parallel circuits and parallel circuits with surface mount LEDs. Download the PDF here. Please share your creations in the comments below!